Gary Neville has cheekily hinted Leicester City defender Harry Maguire will be a Manchester United when the teams meet for the first game of the Premier League season next Friday. 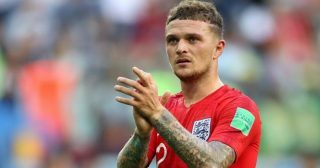 An impressive World Cup campaign with England saw Maguire become a prime target for Jose Mourinho, though there is plenty of work to do if Ed Woodward plans on getting a deal finalised. 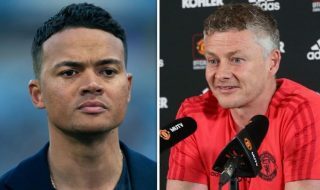 It has been suggested that Maguire would cost at least £65 million, however, former player Wes Brown has urged the club to do a deal. 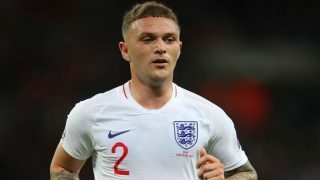 Leicester are determined to keep hold of Maguire since there is so little time remaining to find an adequate replacement. 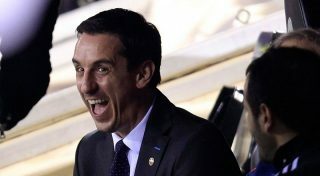 But when United legend Gary Neville tweeted to announce his appearance on Sky Sports for their coverage of the season opener, he signed off with a cheeky prediction about Maguire. He said: “9 days to go until the Premier League starts again on @SkySports with the return of Friday Night Football where I will join [Kelly Cates] and the lovely [Jamie Carragher]. Then he added: “P.S. Maguire v Vardy,” to suggest the Leicester pair may line-up on opposite sides. Great way to put Twitter into meltdown.